Heading down to Orange County, California, for a workshop this weekend. 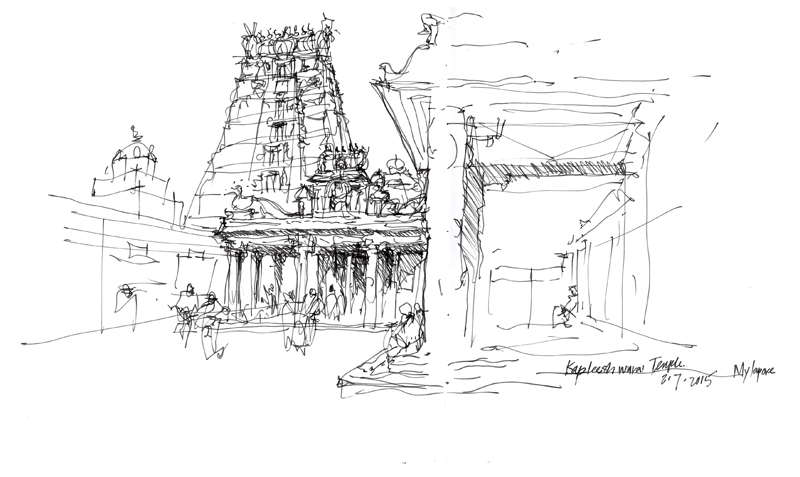 During my workshops, when working one-on-one with a participant, I often do a demonstration of a concept in my sketchbook, such as this one describing the layers of depth that I saw at Kapaleeshwarar Temple in Mylapore, India. 1 is the foreground porch structure; 2 is the porch structure in the middle ground; 3 is the top of a structure just beyond 2; and finally, 4 is the gopuram in the distance. This second image is a follow-up sketch demonstrating how to convey the layers of depth described in the first diagram. Describing layers of depth on a two-dimensional page relies on a discernible contrast of detail or tonal values between each layer and the next. In this case, it was a matter of suggesting detail and tonal values in selected portions of the drawing and omitting them in others. 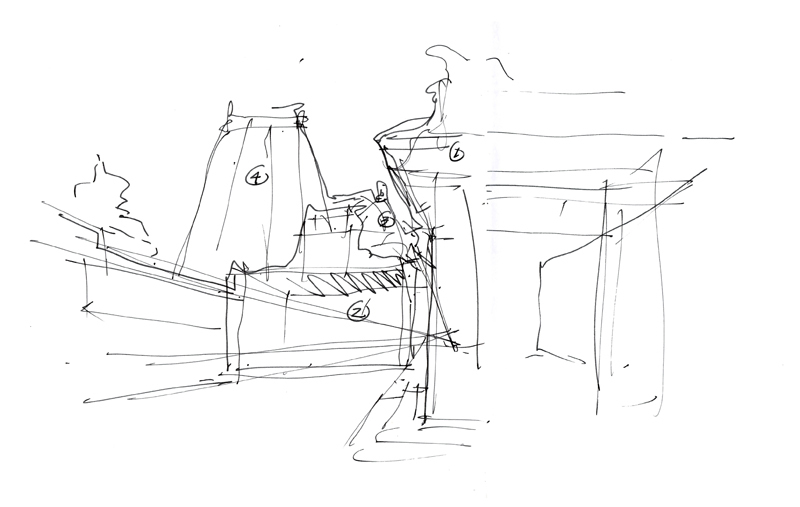 This entry was posted in Drawing, Urban Sketchers, Visual Thinking by FC_admin. Bookmark the permalink.